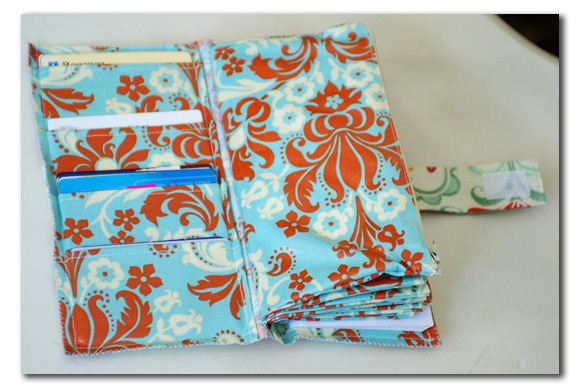 Note: You can now find cash envelope system wallets and kits in my Etsy shop. 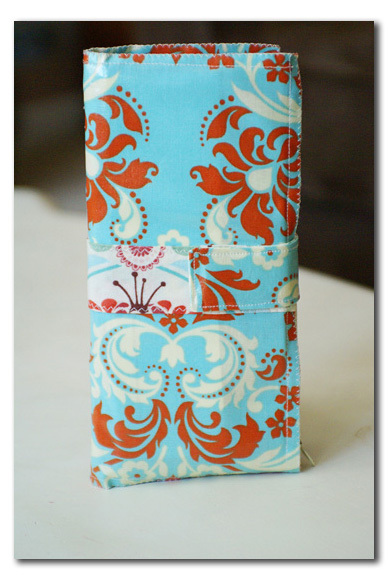 Click on the shop announcement for details about ordering the full-feature wallet. This year, I am determined to make Dave Ramsey proud by getting back to a cash envelope system of spending, particularly in four categories: food, entertainment, clothing & personal. 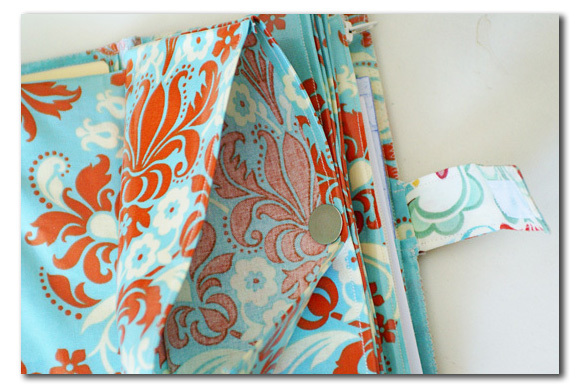 The problem is, I like cute, and there’s nothing cute about tattered paper envelopes shoved in a pocket of my wallet. If you use them, don’t worry. I won’t judge. I’ll just be impressed that you’re using envelopes at all. I eliminated the category windows and the driver’s license pocket window, simply because I didn’t have any clear vinyl on hand and was itching to get it done. :) I always pull out my license anyway, and I decided to label my cash envelopes in another way. 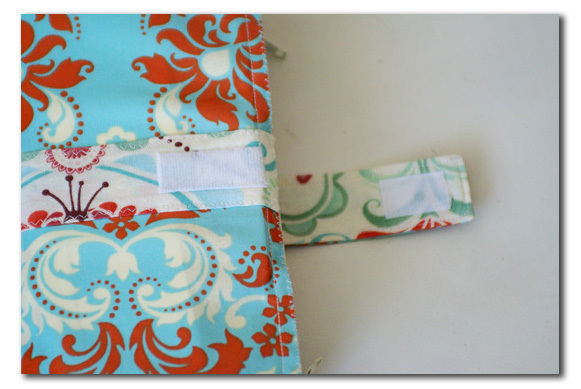 I did zippered pockets on either end and opted for magnetic closures on the four middle pockets. I thought this would help with bulk. 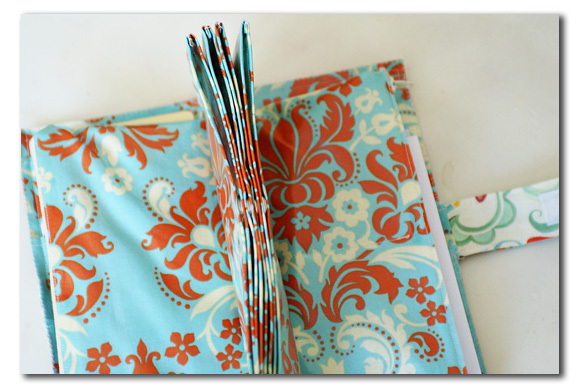 It also helped with my sanity, since this project was my first attempt at zippers! 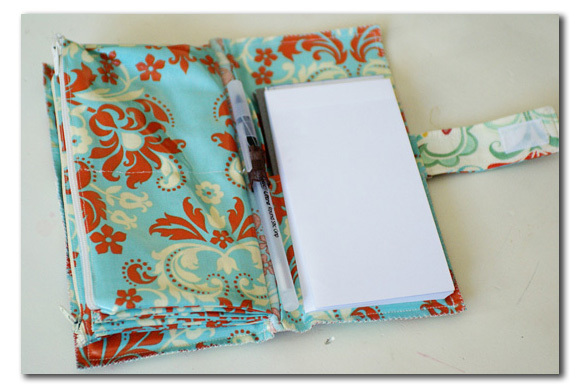 I stitched right up the middle of one of the zippered pouches to make two compartments–one for coins and the other for little things like paper clips and stamps. I did not use oilcloth, but rather some laminated cotton I found at Hancock’s. I bought 1/2 yard and had leftovers. I love it. It’s sturdy, easy to clean, and has all of the features I need.